In Design Your Next Chapter, Travis writes about owning a villa in Tuscany where she runs retreats for women looking to reboot their lives. 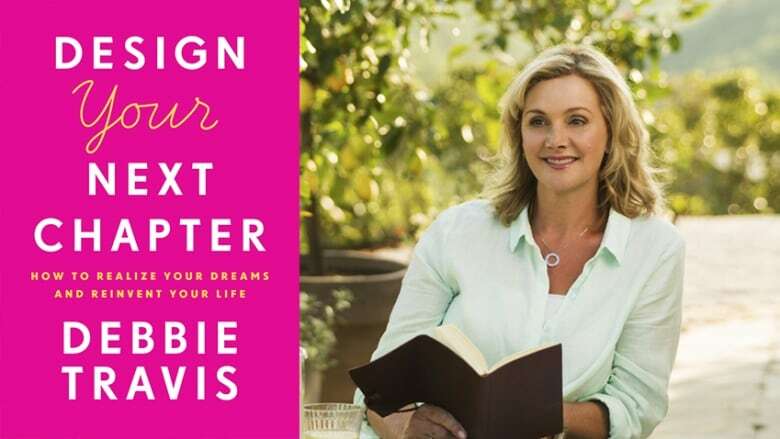 Debbie Travis is a television personality and interior decorator who was a regular presence on Canadian TV screens until recently, when she completely transformed her life — shutting down her TV production company and opening a villa in Tuscany where she runs retreats for women looking to reboot their lives. She chronicles this transformation in her new book, Design Your Next Chapter. "I started in television behind the scenes at the BBC in London before I got married. I've been in these buildings all my life. I do feel, after 20 years in a business, you may still love it but sometimes you get that feeling of déjà vu. It's the same old. I'd reached the end of my learning curve. I wasn't inspired by daily life, there was nothing you could teach me anymore about making a television show." "I had another dream going on at the same time. I'd fallen in love — like many of us do — with Italy, and I had this dream of maybe buying a little house. Every time I went house hunting in the region, which became a bit of a hobby, I just loved the way I felt. I loved the food, the people, the wine and the village life. I started to think about sharing my experience with other women by way of retreats." "With my retreats these women now come eight to ten times a year to the villa. They can come and relax. We do forums everyday where women of all ages and places and come and talk. It's like girls night out for a week and it's got a serious side to it where people can feel free to discuss their emotions and desire to change their life." Debbie Travis's comments have been edited and condensed.